We finished off our Holiday Club (~VBS) today. The pastor and the woman who ran HC all last week was out of town, so I was asked to fill-in on stage. (I made some comment about being third string to someone, but that doesn’t really communicate here. Most UK sports have very few subs and back-ups like in the US, so you typically don’t have much of a second string, much less a third.) I’ve preached before, but this was the first service that I ran from start to finish. It was a cooperative effort to plan, and I thought it came off pretty well although I began to appreciate the tension of change (e.g., more choruses instead of hymns, modern version of the Lord’s prayer, etc.) for older congregations. Anyhow, our HC went very much like a VBS in the states. Since our congregation (with attendance averaging in the 70’s, I think) is older (avg age around 55-60), I was pleased to see about 30 kids show up for the week. It was unfortunate that the only non-regular kids that came back today for the wrap-up service was a family who regularly attends an anglican church down the street. During the week I led the year 4-6 table (~grade 4-6), and had a good time, but the girls were definitely all chatty. One who was visiting grandparents in the church noted that she was a Mormon. Another kid asked her if she’s learned Latin yet. She said no. And he said, well Latin is what Mormons speak, and others agreed. I thought to myself, ‘No, Mormons started in the US, so it would be English.’ But then it hit me, he was talking about Romans! and I was able to clear up the confusion. One other thing I learned is that a high percentage of people take their summer holidays (they don’t use the word ‘vacation’) in the rest of Europe. Most of the kids in my group said they were heading to France, Portugal, or Spain some time in the next few weeks. We just finished the first week of six of summer holidays, but near the end of the last term my son requested a change in sandwiches in his lunch. Ever since he started school back in the states, he’s primarily wanted PB&J as his main dish. That continued here until recently. He’s been eating PB&J (that is, peanut butter and jam, not ‘jelly’ b/c jelly=jello), but his friends have regularly told him how gross that combination must be. One minor reason–english peanut butter is more runny and not as good, so it’s not nearly as popular as in the US. The major reason though has to do with savoury/sweet rules: in a good english meal you will not mix savoury (salty/non-sweet) food items with sweet items (this is also similar to the separation of cold and hot breakfast items), so PB&J is a big social faux pas (sp?) for 7 year olds. For instance you don’t have syrup on pancakes, but ketchup is acceptable, so I hear. So he’s now resorted to requesting ham and cheese sandwiches for lunch. He says it’s not only the peer pressure but after two years of PB&J he wants a little more variety, too, which I can understand. I’m certain that I do similar things, but just more unconciously, so it’s interesting to see how he adjusts to a different culture. I’ve been a Richard Foster fan since high school, and one of my all-time favorite books is his Streams of Living Water–it’s a good mix of spiritual disciplines, historical biography, and ecclesial traditions. Anyhow, ever since reading about the life of simplicity in his Celebration of Discipline, I’ve been interested in pursuing it further because of the extended ability to give, social justice, etc. However, I discovered that the foundation of life in the US is busyness and consumerism, and it’s hard to break free from those cultural forms. So when we moved to England and sold 85% or more of our physical possessions, it felt very freeing. So much that we accumulated wasn’t as ‘necessary’ as we thought it was. Plus here in Durham, our pace of life is much slower than Dallas, it has been a great change. But as we settled here, we’ve slowly but surely accummulated a sizeable portion of possessions again, though it has slowed down significantly in the past few months as we finished the transition. Anyhow, the question that prompted the blog is how to teach my kids about simplicity, and for them to value it. My youngest literally asks for every toy in Tesco when we pass by them–fortunately it’s set in an area that we can easily avoid. But they both have the ‘gimmes’ like any normal kid. They also have great families–aunts/uncles, grandparents, and great-grandparents that are more than generous, but they overflow with gifts at holidays and birthdays. It’s great that they get a show of love from family, but it seems like too much for them. Talking with Heather, I think we’re going to pare down our gifts and put money away for them instead. I’d love to just ask for family members to send money to help the kids save, but kids don’t recognize the value of that gift as much as a book or toy, and who wants to be know as just giving practical gifts. Living internationally complicates things too, because gifts become much more expensive because of shipping. Does anyone have ideas about how you treat this in your family? I just finished Mark Reasoner’s Romans in Full Circle: A History of Interpretation. 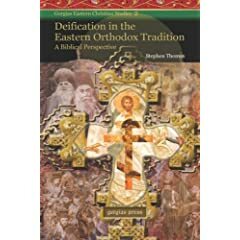 I thought it was an engaging book that not only dealt with the key aspects of Romans but also took the reader through central Western interpretations of the book. His basic thesis is that current scholarship is returning to the key themes that Origen, as one of the earliest commentators on Romans, focused upon. In his analysis he has both primary and secondary authors for interaction. The primary are Origen, Augustine, Aquinas, Abelard, Luther, Barth, and Post-Barthian writers (i.e., New Perspective and Narrative approaches). 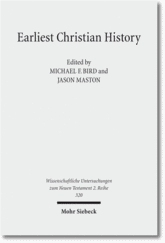 The secondary primarily include Pelagius, Erasmus, and Calvin, among other writers that are relevant for particular topics. This was much closer to what I expected from Reading Romans Through the Centuries would be. Since it is the same author interacting with each historical writer, he compares and contrasts specific items that are relevant to both the letter and the writer. He has chosen 12 loci of importance and debate in the book and uses those for comparing the different historical writers. Only one is outside of Romans 1-11, which he notes is a weakness, but it reflects past theological emphases and debates surrounding the book. Probably the biggest knock I have against the book is the (almost) total lack of eastern writers. Origen could possibly fall into that category, but other than that, there are no other eastern writers. While I know that he is writing for a western, protestant audience, it would be nice to get at least one representative author that discusses Romans from a eastern, and for that matter, also from a RCC point of view. That would at least provide a little more depth to some of the topics. This neglect is even more interesting since Reasoner notes multiple times that the international growth of the church outside the ‘west’ will change the direction that interpretations of Romans will take. At times protestant authors are set against one another, but are really not that far from one another when compared to other faith traditions. Reasoner doesn’t fall into this trap much but it would be helpful to see a broader group. At the same time, I was a little surprised to not have Bultmann and/or Käsemann as discussion partners as well. Overall, it was a nice read that provides a nice mix of biblical and historical theology. It provides a good summary of Western interpretations of Romans. The PPME is just Cambell’s terminology, but in general it is gaining more momentum. Here’s kinda the modern history… JF was one, well really the main focus of the reformation, as you know. 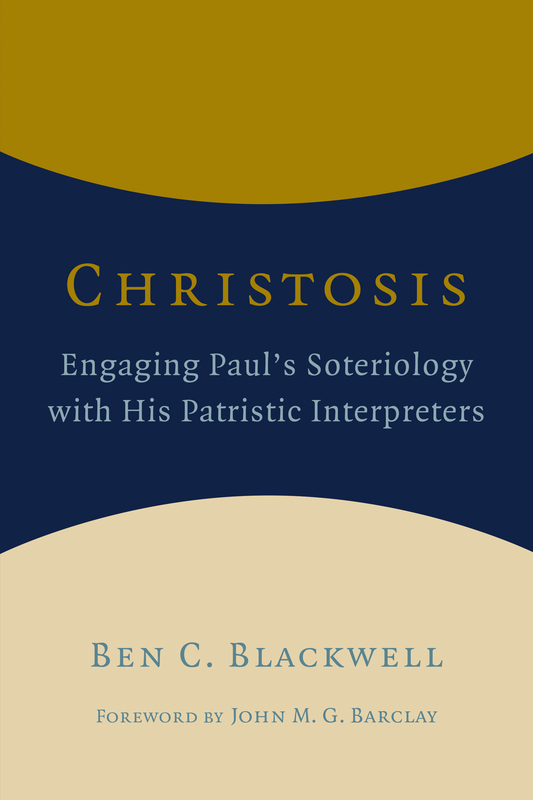 Along with combatting other things Albert Schweitzer’s Mysticism of the Apostle Paul argued for what could be termed a ‘participationist eschatology’ in Paul (or PE). 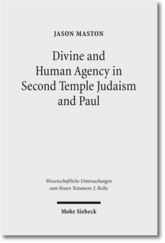 At the time of writing it didn’t make the make big inroads into scholarly opinion–as Barth, Bultmann, and Käsemann all stayed with the JF model (though eschatology became to be much more integrated). So come along E.P. Sanders. He proposes that 1st century Judaism wasn’t really about legalism; it was also a religion of grace. Well, that causes a little problem for the JF model in the grace/law model that we have inherited from Luther. Sanders, as chose Schweitzer’s PE model as what he thinks Paul is talking about. So, along with others, Sanders helped form the basis of the ‘New Perspective on Paul’ movement (NPP). Don’t you love all the acronyms. Campell, then, is following in this stream. Although, I’m not sure he would term himself as NPP. His goal then was to refine what Schweitzer and Sanders had promoted by adding Pneumatalogical & Martyrological to the Participationist Eschatology model, thus the PPME. I like the direction he’s going, but just didn’t think he did much to really get us there. In fact, much of my work is to help better define Paul’s theology in this area. 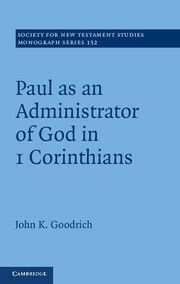 It’s regularly commented that there is no definitive English-language work that captures Paul’s theology in this area. Not that my thesis plans to be that, but hopefully it will move the discussion closer. 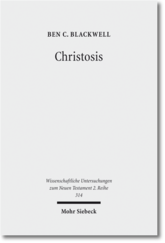 Hopefully, the discussion of theosis (or union with God) will help us understand what union with Christ (read: participation in Christ) in Paul means. I was asked about how many books to bring recently, and I knew I had responded to somebody’s question about books to buy, but I could never find it. It was hidden in the comments of one of my summaries of Bultmann–it turns out that the search function of wordpress only works for posts and not comments. Anyhow, these are the ones I came up with. Any responses? My criteria for buying books are these: 1) Is it something that I will need to write about (so the need to mark it up). 2) Is it something that I’ll read at least twice if not multiple times? 3) Is it worth the cost and hassel of moving it around? 4) Is it a classic? 5) Can I get it cheap? So that means I probably check out more stuff and copy important sections. Through seminary and after (especially when I was moving), I was very anti-purchasing books if they were easily accessible in the library. But now that I’m here, I’m swinging more towards the middle. Get the core books, but save the money from the others for other things. One other note: Obviously, the electronic versions of large sets (TDNT, etc.) would be the way to go there, especially for reference items that have shorter articles. I shipped 7 boxes over, and I think that I’d bring less over than I did. I brought my Pauline NT commentaries, a few other general NT works (Aland’s synopsis, etc. ), several Greek tools (mostly intermediate grammars), and then also a few other general theology and OT stuff. First off, try to get electronic copies of stuff, but that’s probably obvious. My main criteria are 1) almost all should be in your subject area, 2) only bring books you’ll reference more than once. (so that means directly related to thesis research) 3) Bring what you can’t easily get at your school’s library. 4) Is is worth the expense of shipping both ways? Not only do you have to pay to ship them here (which now more expensive b/c even though M-bags are still here, there are only air and not surface, see here and here), but also to ship them home later. From a friend who just moved back to the states, it’s apparently much more expensive going back. 5) Is it worth the space? Generally, living quarters are smaller here, and space may be an issue. Fortunately, I haven’t hit that issue yet. I’ve found that commentaries are the major thing that I’ve used more than once, while some others are just collecting dust, at least now. In the end I’d say do your list up and then pare it back by a box or two. Then have that 2nd tier set aside so if family/friends are coming over then you can have them bring volumes from there that you might need later. Then if you don’t need them, you don’t have to worry about them. If anyone knows the trick to get books back home cheaply, pass along the word.